Cardolite® NX-5594 is a phenalkamine epoxy curing agent that has favorable labeling, faster cure at low temperature, i.e. 0°C. Utilized as a solvent free hardener for epoxy adhesives and as a co-curing agent or accelerator for slower cure epoxy systems. 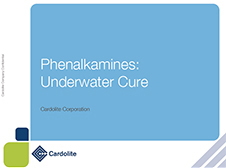 Cardolite® NX-5594 provides outstanding moisture resistance, chemical resistance, and surface tolerance for wet substrates. Cardolite® NX-5594 is suitable for all year-round construction and building adhesives such as grouts, concrete patching compounds, and rapid set repair and maintenance adhesives. 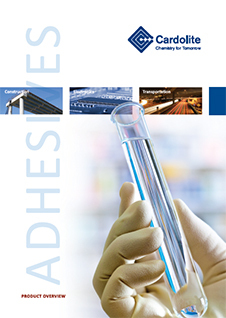 Cardolite® NX-5594 offer epoxy construction and building adhesives the excellent mechanical strength and high Tg required to withstand external stresses during service.